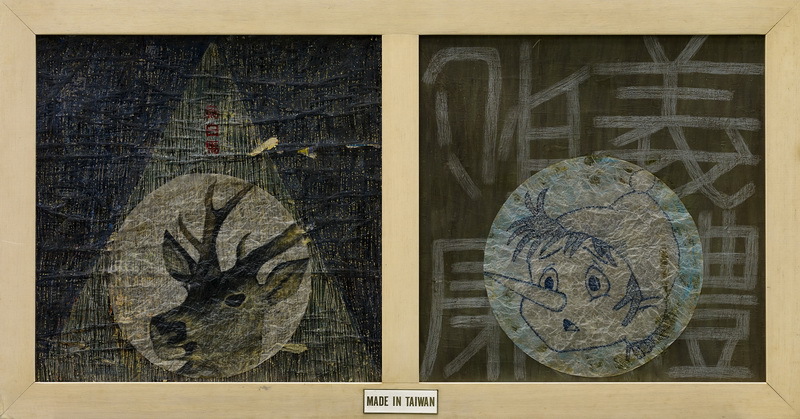 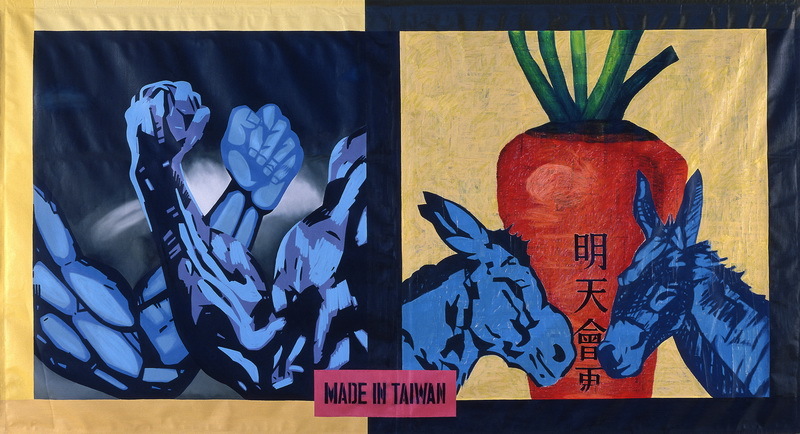 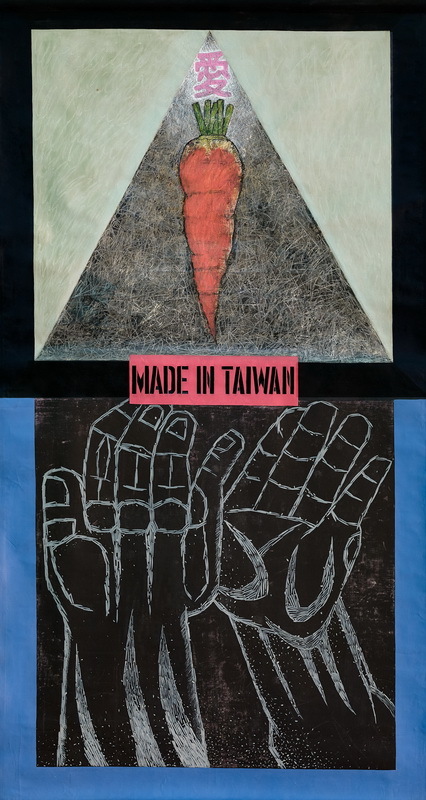 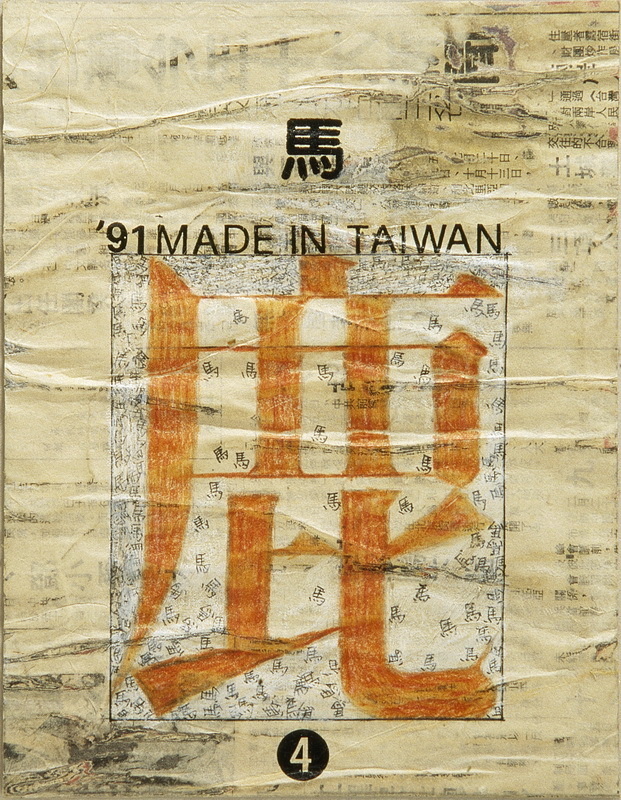 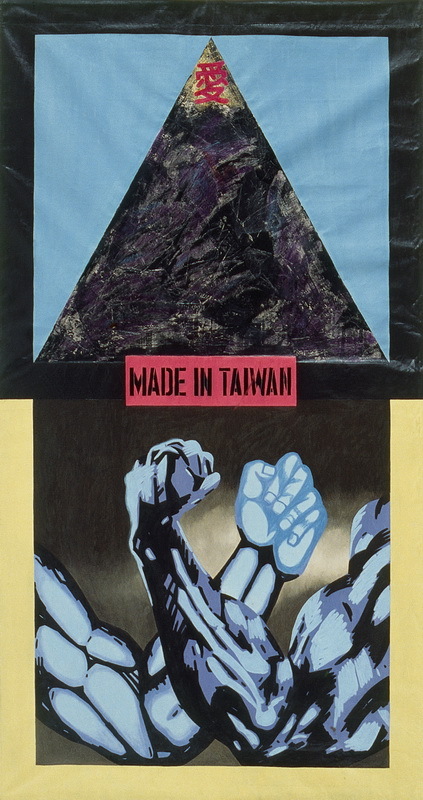 MADE IN TAIWAN—Political Section was influenced by the Wild Lily student movement and the march against the appointment of General Hao Pei-Tsun as the Premier of the Republic of China, both occurring in 1990. 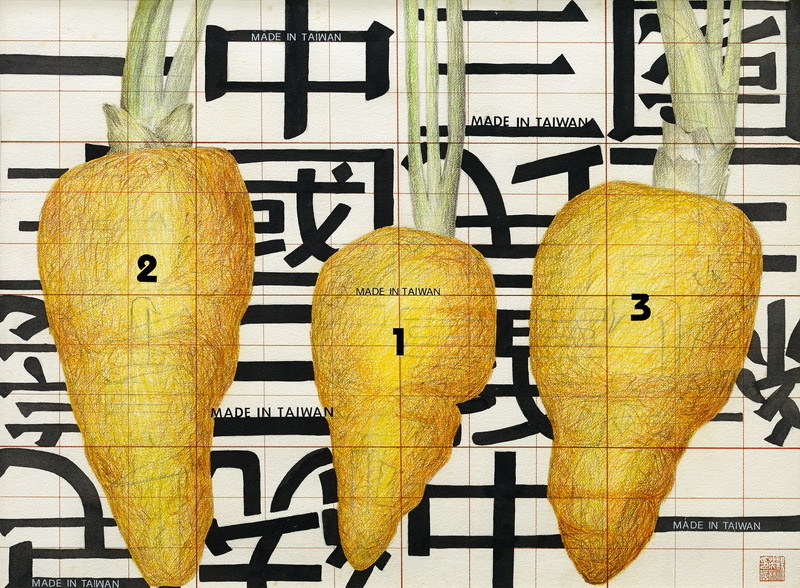 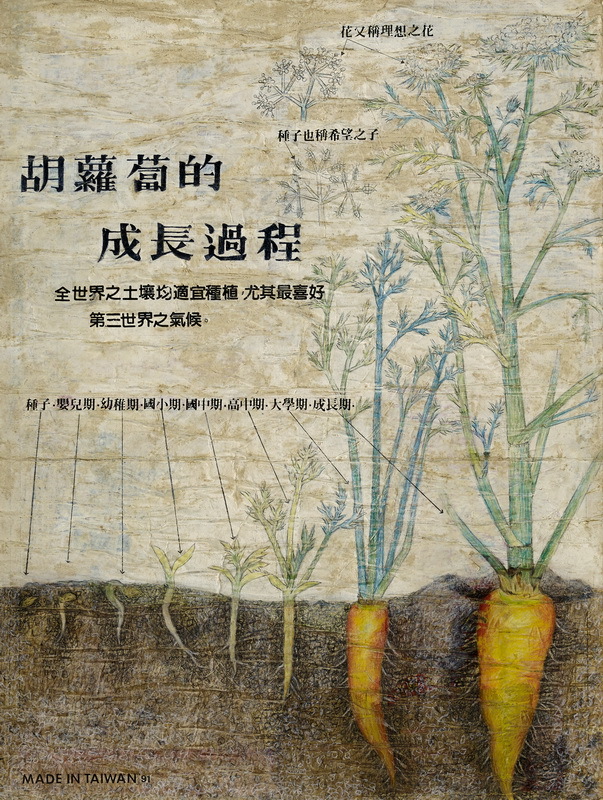 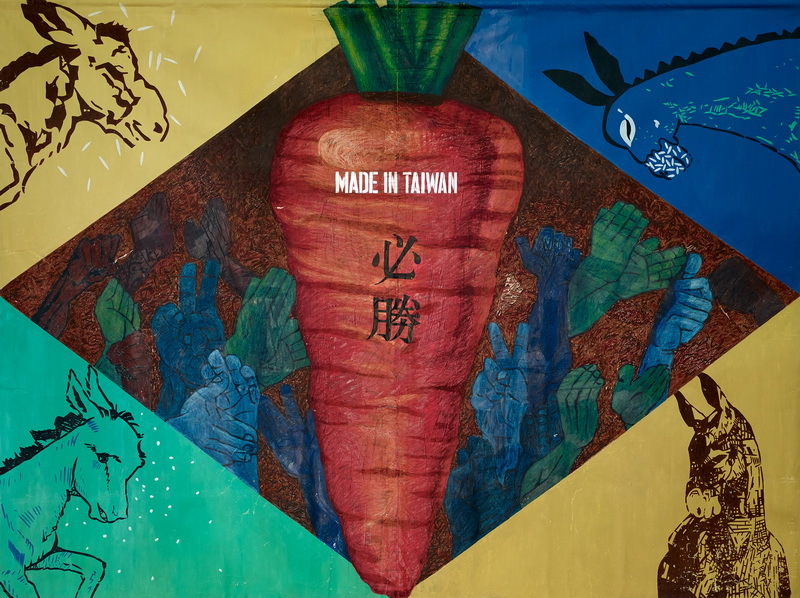 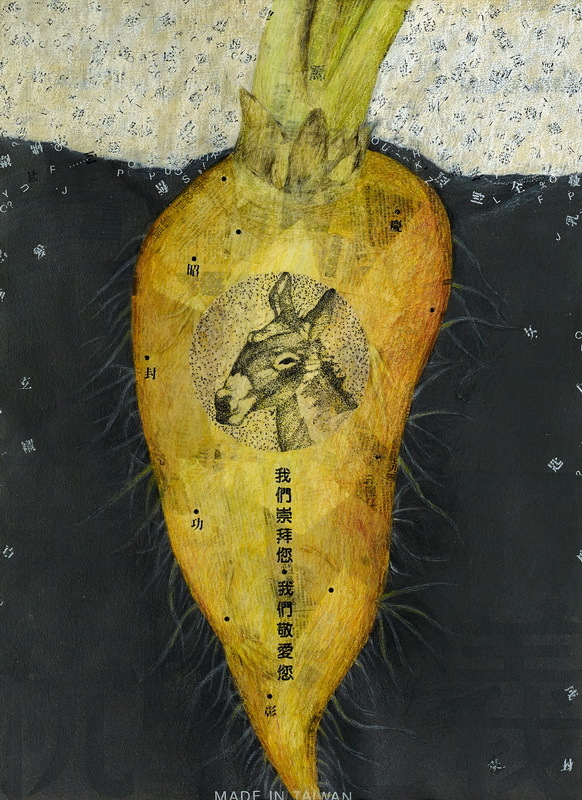 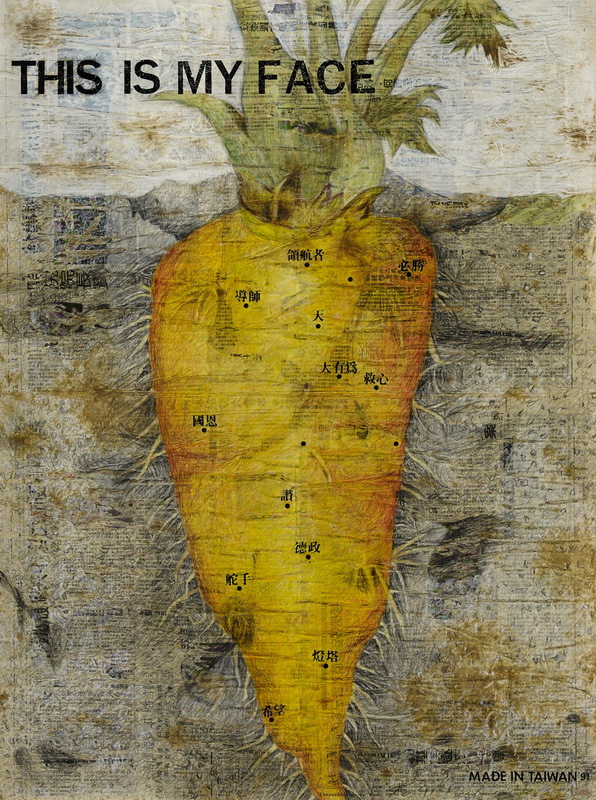 Deeply troubled by the authoritarian government in Taiwan at this time, Yang was inspired to create the four series Limbs-Trunk Sign Section, Slogan Section, N Ways of Understanding a Carrot, and The Phantom of a Deer. 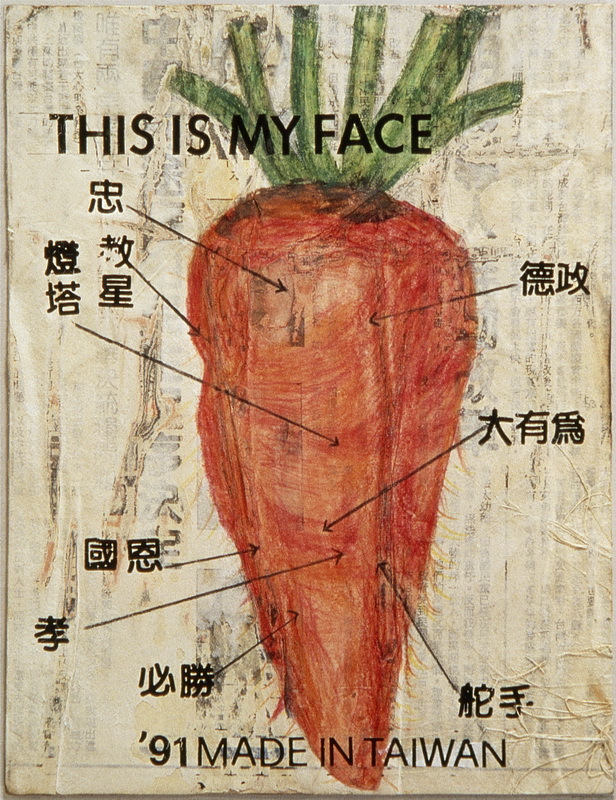 The first, Limbs-Trunk Sign Section, presents how the public can challenge the system, Slogan Section deals with brainwashing propaganda, N Ways of Understanding a Carrot is a critique of the manipulative educational system, and The Phantom of a Deer reveals the ugliness of media manipulation.